Tips On How To Get The Best From Your VA What Are Your New Year’s Business Resolutions? Today’s post is by Deb Pilgrim, who works specifically with woman entrepreneurs who want to take their business from ordinary to extraordinary. She does this by taking them through a step-by-step process teaching them how to consistently grow their business. Click here to subscribe to Deb’s small business blog, or check out her next Marketing Blueprint Workshop. I recently read a report that stated only 10% of small businesses in America take the time to properly develop a marketing strategy. If this is happening in the US, I’m sure the figures would be similar regardless of where you are in the world. If you think about it, why would you start a business, and then decide not to put a plan into place of how to grow your business? Most people when heading out on a road trip to a new destination, would have some type of map, whether it be a GPS, a list of directions or a good old-fashioned map. It’s common sense to make sure you know where you’re going! Often when I begin working with my mentor clients, and we begin to speak about their marketing strategy, they overcomplicate the process and aren’t quite sure what it needs to look like or be for their business. And, I need to let you know that in some cases, these are women and men who have been in business for five or more years. Now, I’m not saying this to make them wrong, but I wanted to highlight the fact that it’s not just a challenge for those who are new to business. I’m a big believer in using the “KISS” principle. Keep It Simple (Stupid) and make it practical and user friendly, so that you firstly, develop the strategy, and secondly, implement the strategy. Having a marketing strategy in place is good business sense, and as I mentioned if you need something simple, than please make it simple. My request is that you take the time to develop this strategy, so that it helps you grow your business, helps you increase your sales funnel, boost your client list, pay your bills and most importantly bring you back to the reason you are doing what you are doing. a) Be very clear on who your ideal clients are. Understand the underlying drivers of your ideal clients. Underlying drivers are the beliefs, feelings, and desires that drive your client’s buying behaviour. Once you understand this, and I mean really understand this, you will begin to speak the language of your ideal clients. You will understand them better, and know what you can do to provide them with the solutions to their issues or challenges. You can never really know too much about these clients. b) Look at what you can do to take your solutions from ordinary to extraordinary. As there are so many small businesses out there, you may not be getting noticed, because you seem just like everyone else. Take a moment, ask yourself and be really honest here with your answer; “What do I need to do to make my service extraordinary?” If you’re not sure, ask those people around you that you trust, ask some of your most valuable clients – find out and listen to what people are saying to you. 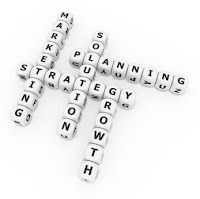 The answers you receive may require you to re-think your current business strategy. But don’t despair, because I know this will be worth it; especially if you can offer a product or service in a way that nobody else can, your competition can become redundant. And I heard this saying recently and want to share it with you: When it comes to your prospects, don’t be a choice – be the choice. a) Block out some time, and begin to develop your 12-month plan that fits in precisely with your strategy. To achieve your goals for the next 12 months – what are the strategies you need to put in place each month and how are you going to track them? Here are a few ideas to begin thinking about: email campaigns; advertising campaigns; public relations campaigns; your live events; keynote speaking; training webinars; etc . b) Once you have developed your 12-month plan, and broken it down into monthly targets, break it down further into what you will need to do weekly to meet your overall goal. Then each week, block out some time to evaluate what happened the week before; what you will be focusing on this week and what is coming up the following week. It’s like your road trip, you know where you are going but if something comes up unexpectedly, you are prepared to meet this current challenge or issue. I’d love to know how you go with this, so please feel free to leave your feedback and comments below. And one last thought – activity breeds activity!